For years now, Moyers has been taking every possible opportunity to assert that something is deeply wrong with politics today. "The soul of democracy has been dying, drowning in a rising tide of big money contributed by a narrow unrepresentative elite," he writes. To Moyers, the core of democracy is a government of, by, and for the people. He warns repeatedly that since 9/11 the Bush Administration has been exploiting the American public's trust in government, benefiting a corporate ruling class, and dismantling "every last brick of the social contract" established over the last century between the government and the governed. Tracing back the progressive movement in American government, which began with Teddy Roosevelt in the late 19th century and peaked in the last third of the 20th century with Lyndon Johnson, Moyers reminisces about the progressive times, and reminds us that although they weren't perfect, they made progress towards a common good: "Its aim was to keep blood pumping through the veins of democracy, " says Moyers. Government played an active role by implementing the idea that people had a right to a government that best promoted their 'safety and happiness'. But today, the Bush administration wants to roll back all the progress that the progressive movement made, and strip government of any functions except those that reward the administration's rich and privileged benefactors. "They filled the bathtub with so much debt that it floods the house, waterlogs the economy and washes away services that for decades have lifted millions of Americans out of destitution and into the middle class," writes Moyers. "And what happens once the public's property has been flooded? Privatize it. Sell it at a discounted rate to their corporate cronies." The Bush administration, in Moyers's view, is pursuing the most radical and homicidal policies, while the media "with occasional exceptions, remain indifferent and silent". From his early years as a Texas journalist, to the period before his retirment working as an independent television series producer for Public Television, Moyers has had unique insights into the media, and he devotes two-thirds of his book to writing about media and journalism. He has witnessed changes in American media and journalism, and the impact of those changes on society and to democracy. The disappearance of the robust, independent and local newspapers that Tocqueville admired two hundred years ago, and the consolidation of the media into the hands of a few conglomerates have increasingly constrained freedom of the press and freedom of reporting. And Moyers observes that, apart from all the technology, the biggest change in his fifty years in journalism has been the shift of content from news about government to consumer-driven information. National and local media in the US have been dominated by crime, violence, triviality and celebrity. Conglomerates are interested in profits, not journalism, and they treat the public only as consumers, not citizens. Journalists who work for mainstream corporate media lack the independence to bring important government and social issues to the public's attention. The power of money in politics has tipped the balance against American democratic institutions, and Theodore Roosevelt's fear that "the big business had become so dominant, it would chew up democracy and spit it out," is becoming reality. Democracy can't survive without governmental transparency, and, Moyers suggests, this requires the highest degree of responsible journalism. Moyers gained unique insight into the relationship between government and media through his personal experience working as Lyndon Johnson's press secretary in the 1960s. He saw firsthand how much government officials wanted to prevent the public from knowing. Moyers remembers the time when LBJ signed the Freedom of Information Act in 1966: "LBJ had to be dragged kicking and screaming to the signing ceremony. He hated the very idea of the Freedom of Information Act, hated the thought of journalists rummaging in government closets, and hated them challenging the official view of reality. He dug in his heels and even threatened to pocket-veto the bill after it reached the White House." "To a responsible journalism," Moyers says "it's always a fight to find out what the government doesn't want its citizens to know." Today, this is a fight that Moyers believes American public is once again losing. 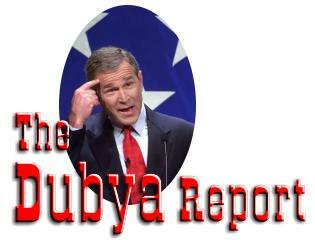 The Bush administration is perhaps the most secretive government in US history. W. Bush not only eviscerated the Presidential records Act and FOIA, he has clamped a lid on public access to government information across the board. Throughout his writing, Moyers ponders what can be done to renew democracy, and to reengage and galvanize the progressive movement. First, Moyers believes in the importance of "reaching out to regular citizens." People in a democracy can be entrusted to decide all-important matters for themselves, suggests Moyers, because they can communicate and deliberate with one another. Though Moyers admits that he doesn't know how to reconfigure progressive politics to fit an age of sound bites, and polling dominated by a media oligarchy, he sees the urgency and the importance of political activism: "carrying the fight to radio talk shows, local television and the letter columns of our newspapers...." And he encourages progressive journalists "to engage the mainstream, not retreat from it, ... to fight to keep the gates to the Internet open to all, to fight to limit conglomerate swallowing of media outlets..., fight to expand a noncommercial media system." Secondly, Moyers suggests that democracy is a dialogue. Conversations and dialogues among citizens are the best ways to promote respect, tolerance and understanding of different points of view. In recent years, diversity of political discourse has been drowned by voices of hate on radio talk shows, and the extreme negative campaign rhetoric during election cycles and beyond. People, millions of them, are alienated, and disillusioned about politics, and are abdicating from the political process entirely. Some who remain within the process cease to communicate, to search for common interests and common ground. To cultivate the culture of political dialogue, to listen, and to understand other perspectives is to revitalize democracy. The expansion of the Internet gives people a new medium for dialogue, and offers opportunity for a renewal of freedom of expression and the press. The last group of essays in Moyers's book contains his personal "looking back". "Where The Jackrabbits were" was written in 1974 when he traveled with his father back to Oklahoma "putting the past together again." "Second Thoughts" was written in 1986, and is a vivid portrait of Lyndon Johnson. Moyers reveals many sides of Lyndon Johnson and the great accomplishments of his era, a painful counterpoint to the current administration which seems intent on rolling back everything that has been accomplished on behalf or the American people in their "one nation, indivisible." Finally, in "Empty Nest", "Good Friend" and "Aging" Moyers shares his thoughts and wisdom on everyday life. In the foreword of this book, Moyers says "journalists write on the sand and speak into the wind, and usually by the morning after there isn't a trace of what we wrote or said." And he was pleased that he was able to contribute essays capturing his lifetime experiences to the somewhat more permanent world of books. As readers we are glad that Moyers' enlightening words and ideas will stay with us in this new century, protected by hard covers.